Music experts weigh in on how representation will continue throughout the year. This Sunday's Grammy Awards will honor some of the biggest names in music — and they'll also provide the Recording Academy with a chance to show if they've taken last year's controversy into consideration. In 2018, only one woman won an award in a major category. This, along with controversial comments made by Recording Academy President Neil Portnow, prompted the voting body to reevaluate how they approached diversity. The field for the four main categories expanded from five to eight nominees to make them more inclusive. 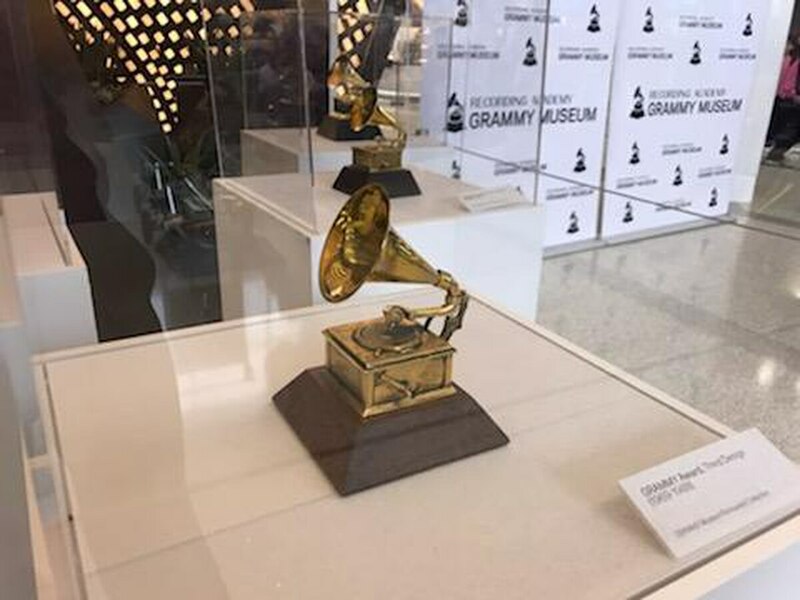 Christopher Sampson, an expert on the Grammy Awards and USC Thornton music professor said that the category to watch is "the producer of the year category for non-classical." No woman has ever won the award, and 2019 nominee Linda Perry is the first female producer to even be nominated in 15 years. Perry has written songs ranging from "Beautiful" by Christina Aguilera to "Get the Party Started" by P!nk. "If she wins that category, I think that that would make a significant statement," Sampson added. Lindsay Wolfington, an adjunct instructor from the Thornton School of Music at USC, said she's seen seen the impact women are making in the music industry and the world this year. "Everybody is kind of hoping [2019 is] the year of the woman," Wolfington said. "You look at Congress flipping, you look at the Grammys making a change." However, Miki Turner, a USC journalism professor and expert in diversity and the entertainment industry, remains skeptical of the approach. "I don't know that increasing the number [of nominees] will always increase the diversity," Turner said. "You could just add some more of the same type of people." She hesitates to praise the increase in nominees as a long term solution for inclusion. The decision to have Alicia Keys host the Grammys, on the other hand, might benefit the Academy. "She's a very strong voice, a big advocate for women period. Women in music, women across the board," Turner said. "I think that was a good move, whether or not it will eliminate a little bit of the sting remains to be seen." Only 12.3 percent of songwriters of the 600 most popular songs from 2012-2017 were female, according to a USC Annenberg Inclusion Initiative report. The study also found there is one female producer for every 49 men. Loren Medina, an adjunct instructor for music industry at USC, has 18 years of experience working in the field. She said she spends 95 percent of her time at work negotiating with men and doesn't get the same respect that they do. "A lot of the men [would] rather talk to my artists than talk to me," Medina said. "I feel like their knee-jerk reaction is to talk to the male as opposed to negotiate with me." Sexism isn't the only obstacle Medina said she encounters in the workplace. As a Latina woman, she noted that,"being a woman in the Latin industry is definitely a lot more challenging because of our culture. Male chauvinism is very strong and predominant." Medina feels that women in top industry positions have to be more aggressive to succeed, but they are often met with backlash. "Our aggressiveness is not embraced," Medina said. "It's almost like 'Oh she's a b—-. She's too bossy,' as opposed to 'she's doing her job.'" Established leaders aren't the only ones who worry about their image in the industry. Amy Kasandr, a percussionist and post-master's student in the USC classical music program, echoed this sentiment about the classical music scene too. "I've always had the mentality of, 'I need to play at 110 percent' because I need to overcome that extra hump," Kasandr said, referring to sexism in auditions. She says she's grateful that in recent years, most of her auditions have switched to being blind auditions — where performers play their instruments behind a screen so their identity isn't clear. "Over the last few years that has become the norm, to do the screened audition," Kasandr said. "Now females are starting to advance more and win more jobs." After the Academy announces the winners, Sampson said they need to continue to make strides to empower women. "They're going to have to keep this up," he said. "They're going to have to not just talk about it but really have an effect in the industry."